A dream journal is an absolute must for learning how to interpret your dreams on your own. These 8 tips for keeping a dream journal will help make sure you are getting the most of this daily practice. Your journal doesn't have to be fancy or complicated (though choosing a nice notebook will make it feel more special) - all that matters is that you write down what happens in your dreams. You can use an elaborate hardcover notebook, or you can choose to use a simple spiral bound notebook - either one works fine. Some people even like to use an art journal to keep track of some of their dreams. You will be more aware of the feelings and sensations you felt in the dream. You will have a more detailed account of the dream which will help you have a more accurate interpretation. If you want to get in the habit of having vivid dreams which you can actually remember and learn from, keeping a dream journal is essential. As you can see, there are plenty of great benefits to writing down your dreams each day. Now that we've covered why you should keep a dream journal, let's share some tips on how you can make sure you get the most out of it! Keep your journal and a pen next to the bed. Write down everything you can remember with as much detail as possible. At first you may not have much to write, but the more you get in the habit of writing, the easier it will be for you to recall the details of the dream. While I am a fan of doing everything digitally as much as possible, for dream journaling it can be disastrous! By the time you logon to your computer and open up a new document, you could already lose important details of the dream, not to mention get side tracked. If you really want to keep things digitally, write your dreams down on paper first – then transfer them to the computer. One of the best reasons to keep a dream journal is so you can go back through your dreams and make notes. Writing on every other line will give you lots of space to write and note different symbols and themes. This is why I always try to write on every other line in the journal. This way, after you complete writing you can go back and add more details you remember about the dream. Try to describe as much as you can remember about the dream. The more details will help you understand more about the different feelings and thoughts you experienced during the dream. Instead of writing, “I saw a door” – describe the door. Was it an old wooden door with chipping paint or was it a sliding glass door? These details will help you better interpret the dream. A sliding glass door might have something to do with transparency and honesty, whereas an old door with old paint might represent neglected opportunities. Dating your journal entries will help you remember when you had the dream. This will help you when you look back in your journal. I know many times a dream may not necessarily make sense when I first have it. However, when I go back a few months and look at the dreams and compare it to what was happening in my life at that time I often see the connection! When you include the date of the dream in your journal, it can also help you identify recurring themes and symbols. You may find additional insight to the dream and its relationship to the events going on in your life at the time. What events are currently going on in your life? How has your mood been the past few days? Now, think about how you felt in the dream. What are you doing in your dream? Are there any ways that the activity in the dream may be a symbol for the current activities in your life? Taking notes on what is happening in your waking life can also help you recognize patterns in your dreams. If you are going through a stressful time, you may notice that certain dream symbols tend to show up more often. For example, when I am going through a time in my life where I have to make decisions, it seems like I am always dreaming about shopping. Sure enough, being at the store is a symbol for trying to decide what I want and what I need. Sometimes drawing pictures will help with better dream recall, especially if you've dreamed of an invention or a particular scene. Illustrating your dreams can help you better understand what they mean when you visualize them, especially if you are a visual person. You don't have to be a great artist to successfully draw from your dreams. Sometimes just using crayons and markers and doodling can help you work out different thoughts and feelings. When keeping a dream journal, it's good to just write everything down as fast as you can so you can write down what you remember about the dream. 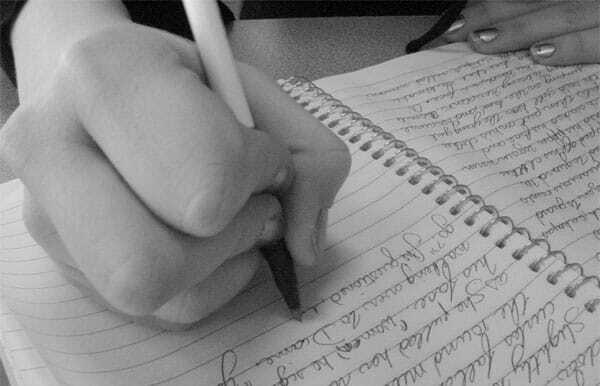 Don't worry about writing complete sentences, using correct grammar, or even spelling. Just write down whatever thoughts come to your mind! Keeping a dream journal shouldn’t be tedious – it should be fun! You should look forward to writing down your dreams each morning. If you don't yet have a strong morning routine, dream journaling can be a great way to help you find clarity and peace for 5 minutes before you start your day. Life can sometimes be crazy and busy, but a dream journal can really help you find some focus to start the day on a positive note. Keeping a dream journal doesn't have to be hard! I hope you find these 9 tips for keeping a dream journal helpful to get you on the path to understanding what your dreams mean and use them to make a positive difference in your life! Do you keep a dream journal? Have any tips for keeping a dream journal you would like to share? We'd love to hear your thoughts in the comments section below!